AUSTIN, Texas (March 26, 2018) – Lone Star Racing and team drivers Mike Skeen and Scott Heckert combined to win the pole and score a pair of podium finishes this past weekend at Circuit of The Americas (COTA) in a breakout performance for the No. 80 ACS Manufacturing/Lone Star Racing Mercedes-AMG GT3 team in the opening rounds of the 2018 Pirelli World Challenge SprintX Championship. On the pace from the first laps of Thursday’s test session straight through finishing second in Sunday’s second and final one-hour GT-class SprintX race, Skeen, Heckert and the Lone Star Racing team made a strong 2018 debut that will likely set the tone for the remainder of the season. Skeen led the first half of Round 1 on Saturday from the pole before handing off to Heckert, who battled in the lead pack throughout his stint and to an eventual third-place finish. Heckert in turn drove the opening shift in the No. 80 in Round 2 on Sunday and promptly passed several competitors from sixth on the starting grid in the charge into Turn 1 at the race start. He worked his way up to second before handing off to Skeen, who defended the runner-up position to the checkered flag. 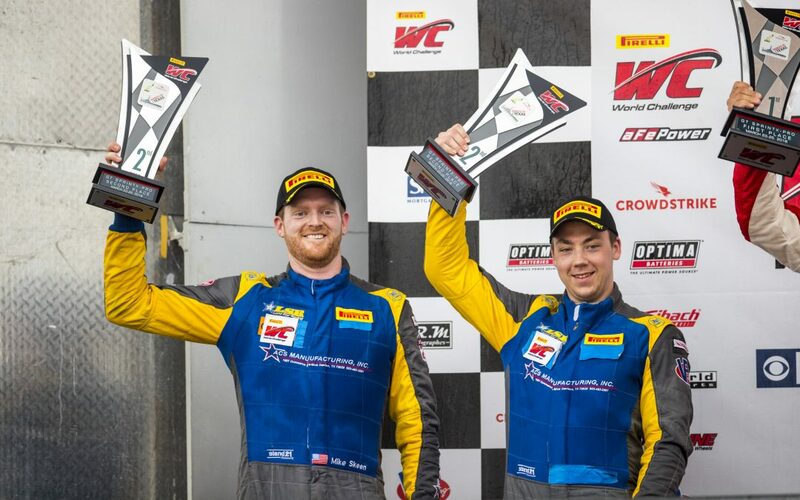 While Skeen and Heckert, who was making his Pirelli World Challenge GT-class debut, were racing together for the first time, both the drivers and the No. 80 team never missed a beat in the solid weekend performance. Heckert’s quick run to the front and fast start earned him both the VP Fuels Hard Charger and Optima Batteries Fast Start Awards in Sunday’s race. Top GT driver Skeen is in his third year with Lone Star Racing while Heckert, a former Pirelli World Challenge race winner who competed in 2017 in a Mercedes-AMG GT3 in Europe, is filling-in for Lone Star Racing team owner and driver Dan Knox at COTA and next month’s SprintX rounds at VIRginia International Raceway (VIR). Rounds 3 and 4 of the Pirelli World Challenge GT SprintX Championship will be held at VIR, April 27 – 29. About Lone Star Racing: Based at Motorsport Ranch within the greater Dallas-Fort Worth area in Cresson, Texas, Lone Star Racing is competing in the No. 80 ACS Manufacturing/Lone Star Racing Mercedes-AMG GT3 for the second season in 2018. Lone Star Racing and its team members have won races across North America spanning sprint and endurance racing formats. The crew has worked together on many different teams and various types of cars, developing a strong bond and proven capability that gives them a competitive and winning advantage. Lone Star Racing competes with the support of primary partner ACS Manufacturing, Inc. (www.ACSManufacturing.com). Look for Lone Star Racing and team owner/driver Dan Knox on Facebook and follow the team on YouTube at Lone Star Racing, on Twitter and Instagram at @LSRTeam and on the official team web site at www.LoneStarRacingTeam.com.